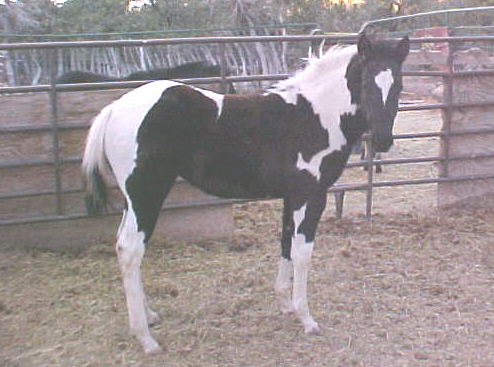 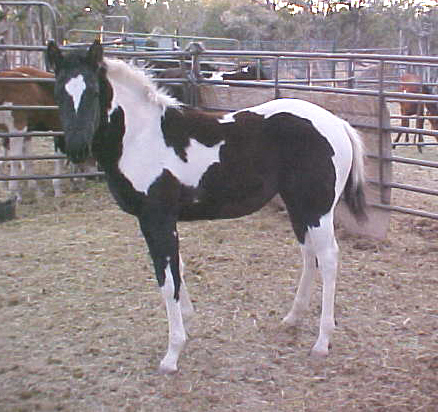 This dramatically marked filly has the blood of both our sires in her, as we raised her dam. 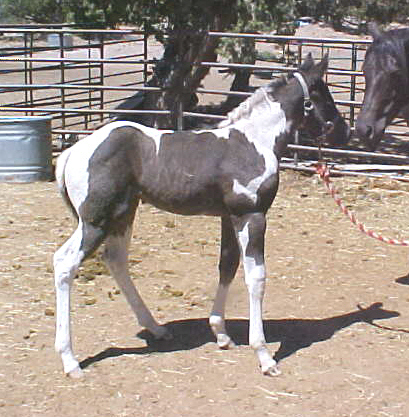 This leggy foal will have a nice head and be well muscled. 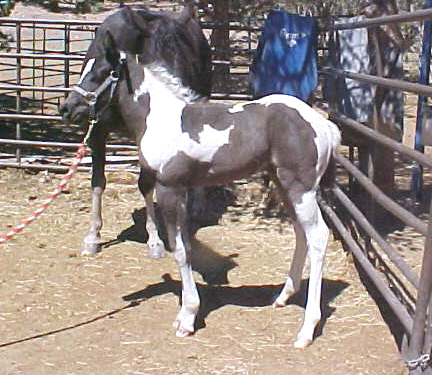 She should be very athletic and be one of your best buddies, too. 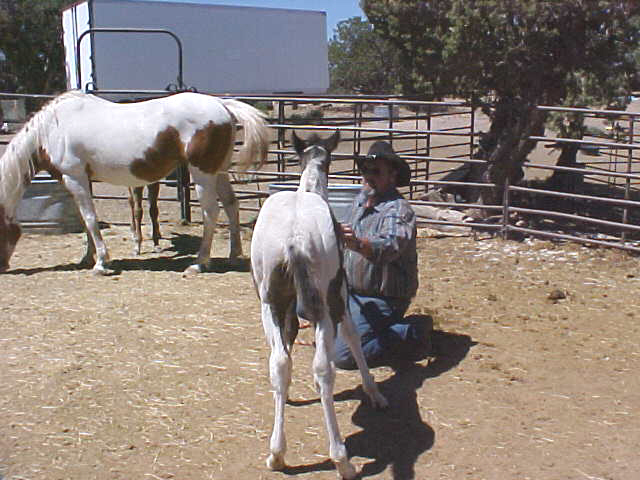 In these first photos she is less than two weeks old.